This post is best read in the context of the earlier posts on Clarke Owens’ Son of Yahweh: The Gospels as Novels, in particular Jesus Is Not “As Historical As Anyone Else in the Ancient World”. 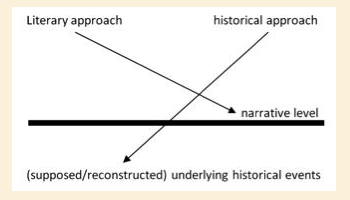 This post considers the different genres qualities (verbal categories, discourse types) between Gospels and historical writings and concludes the Gospels are characterized by language typical of make-believe narratives. One would expect that it would go without saying that one must first understand what one is reading before one knows how to assess its value as a historical source. But the field of historical Jesus research is graced with many exceptions and methods found in no other field of historical inquiry. One of these is the belief that literary analysis has no relevance to the study of the historical Jesus. McGrath is not alone in this understanding of the difference between literary and historical studies of the Gospels, which is to say that a good number of Christian history scholars do not really understand the nature of historical source material or the fundamentals of how to undertake historical research. I am not saying all biblical scholars fall into this trap, nor that all other types of historians avoid it, since there are indeed a few biblical scholars more critical than their peers and some sloppy historians in other fields who build upon unexamined assumptions. What is wrong with the above model? Jack Miles, another scholar discussed by Clarke Owens in Son of Yahweh: The Gospels as Novels, strongly disagrees with the notion that one can validly “see through” the Gospel narratives to history below. He draws the analogy of the text as a stained-glass window: not to be looked through but looked at. According to Clarke Owens this is only “half right”. Owens identifies the flaw in Jack Miles’ analogy: Miles is embracing as a universal what “literary critics would recognize as [only] a theory” of literature — that of “autotelic literature“. That is, the idea that literature can and must be interpreted only within its own boundaries is only one theory among a number of valid ways of reading and understanding literature. According to Owens, while it is correct that we cannot “look through” a text on the assumption that it is some sort of window to a real world of past persons and events, it must be recognized that there are ways literature can serve as historical sources — only not in the way biblical scholars too often assume. Clarke Owens, writing as a literature scholar, reminds us that there are certain types of literature (e.g. allegory) acknowledged as taking their meaning and intended interpretations from reference points outside themselves. (One might call this type heterotelic, referring to something outside itself, as opposed to autotelic.) So Owens disputes the idea of Jack Miles that literature must be read exclusively “as literature” and without reference to history. The disingenuousness or perhaps the naiveté of Miles’ type of quixotism is suggested by the simile he employs to illustrate it. Literary critics are not people who stare mindlessly at stained-glass windows while historical critics look through the colored glass at objects behind them. as perhaps also in the tradition of different types of windows for comparative purposes. Substitute the above for their equivalents in relation to the Gospels. If there is history to be found as a result of our reading the Gospels it will emerge through our bringing to our reading questions suggested by the interests above. We will return to how such questions lead her to write a historical analysis of the significance of Acts’ story of the stoning of Stephen for the early Church in a future post. We cannot know any “history about” the actual stoning of Stephen but we can discern historical information about the reason Acts was written the way it was, with the content it contains and the way in which it is presented. As we can reasonably guess from the title of her book, this history has much to do with how the Acts narrative contributed towards an emerging new sense of identity of Christians at the time it was written. Back to Clarke Owens, we will see in posts I am about to write as follow-ups to this one how the questions of interest to the stained glass windows have their equivalents in our critical reading of the Gospels — and how they yield a quite different historical understanding of Christian origins than we gain merely by paraphrasing the narratives. In the next post in this series we will look at what Owens sees as the highly problematic consequences of reading and studying the Gospels as parts of a canon, as texts forever bound within the covers of the Bible. Posted on 2014-01-05 13:10:25 GMT+0000 by Neil Godfrey. This entry was posted in Historical Methods, Literary Analysis and tagged Historial Method, Owens: Son of Yahweh. Bookmark the permalink. It’s funny you used an image from Reims Cathedral in your article. 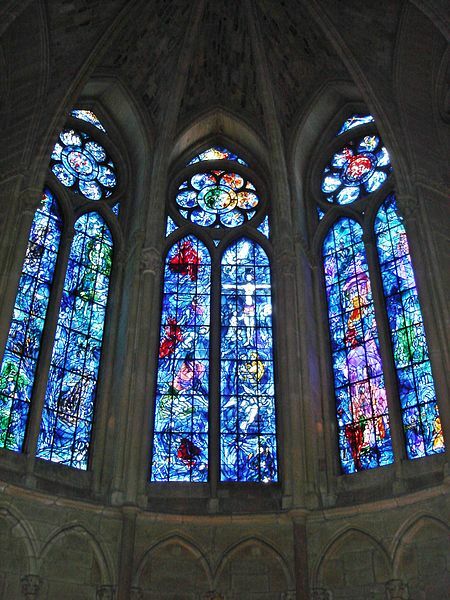 When I read Clive Owen’s book, and got to that passage, I immediately thought of Reims Cathedral, due to visiting it this summer, and its mix of narrative and more abstract stained glass window designs. It seems to me that the literary approach should be used as a sieve before the historical approach is applied. It doesn’t make much sense to include the merely literary pieces as historical fact. One should eliminate sarcasm before taking a statement as true. It should be determined that Paul said James was “the Lord’s brother” not in a sarcastic sense before proceeding to genealogy. Pingback: Vridar » What Did Paul Know About Jesus?